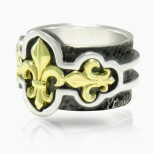 .925 Silver with an antiqued blackened and hammered finish with a shiny accent. 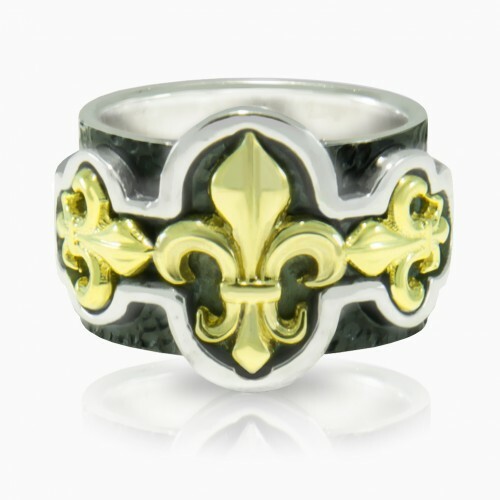 Center Fleur de Lis piece is 18k Yellow Gold. Width 11.4 mm (almost half inch) widest part of center 15.1 mm (5/8th inch), thickness 2.8 mm. 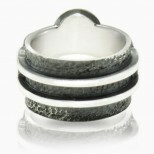 Heavy and solid ring.